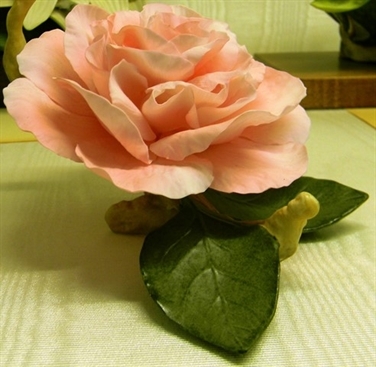 Massee Lane Gardens is an International Camellia Society "Garden of Excellence." 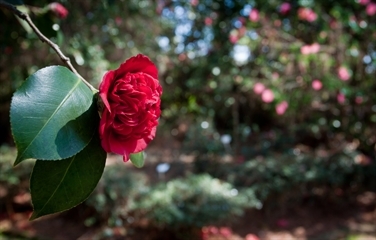 One of the world's finest collections of camellias fills a nine-acre area at Massee Lane. Brick walkways surround the camellia trees for easy viewing. 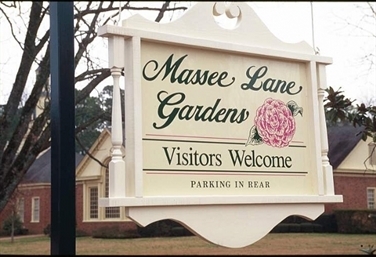 Massee Lane had its beginnings as the private garden of David C. Strother in the 1930's. 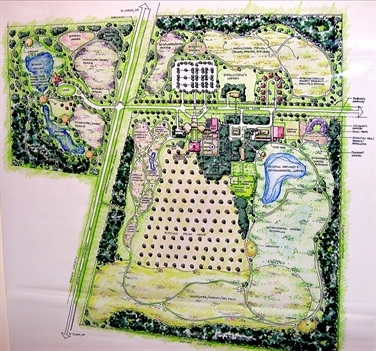 Mr. Strother donated this land to the American Camellia Society for its headquarters in 1966. Strother was quite a collector - the millstones he brought into the garden have become a Massee Lane signature. The old wire road mile markers, some with the mile number still visible, add another dimension to the garden. Our visitor center is located in the Annabelle Lundy Fetterman building and has a recurring slide show informs visitors about camellias and the development of the Gardens. The gift shop, auditorium, and large reception room comprise the principal elements of this building. The Stevens-Taylor Gallery and the Annabelle Lundy Fetterman Educational Museum showcase the porcelain collection. 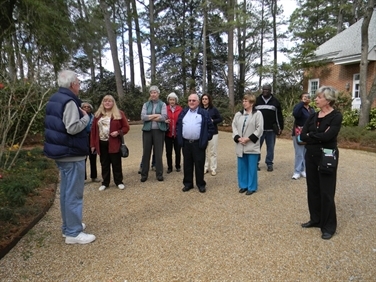 See a video to learn more about Massee Lane Gardens and membership in the American Camellia Society. 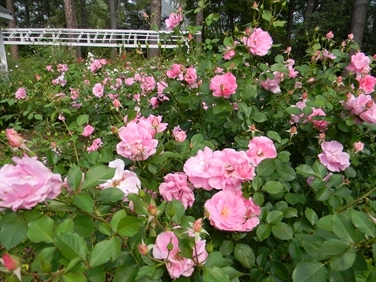 Something is always blooming at Massee Lane Gardens.